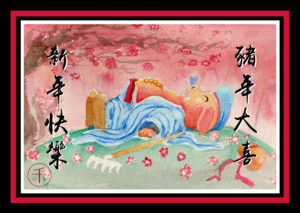 I have prepared a watercolor painting and converted it into an e-card to celebrate the year of the pig. 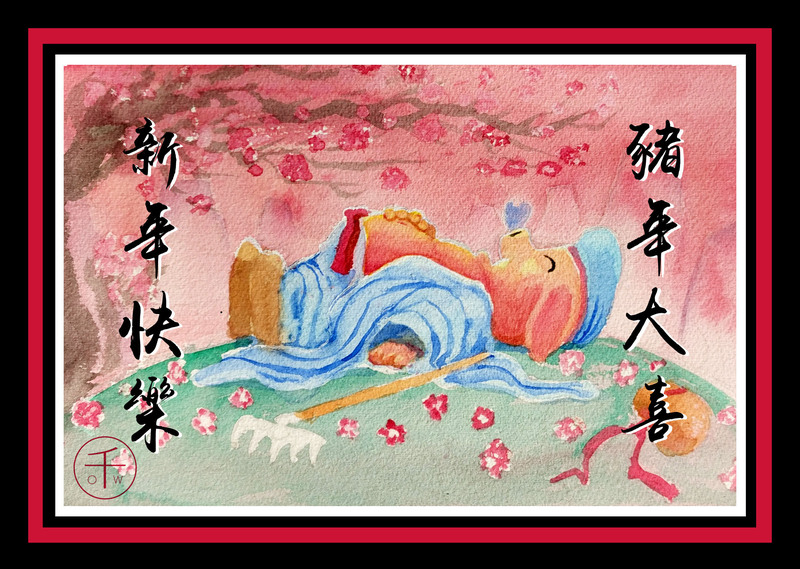 This is my depiction of the beloved Journey to the West character “Pigsy” （豬八戒）enjoying a nap. You can download it for free in hi-res on my via my deviantart page. Print and email at your discretion, my gift to you for this lunar new year. This zodiac year is my year, and yes, I am unapologetic-ally a pig, with all the traits that pertain.